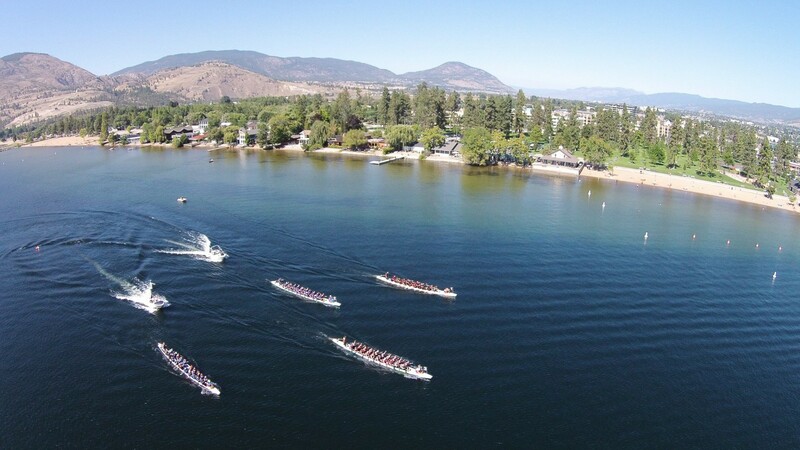 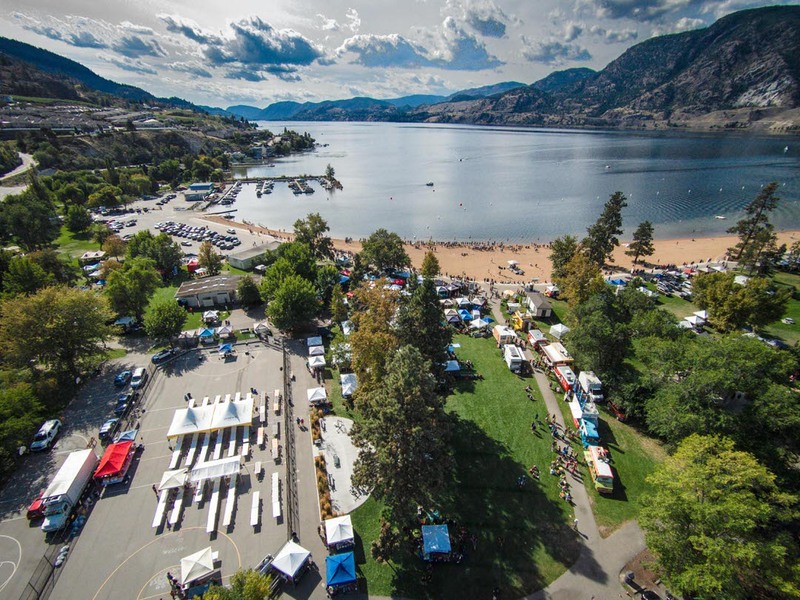 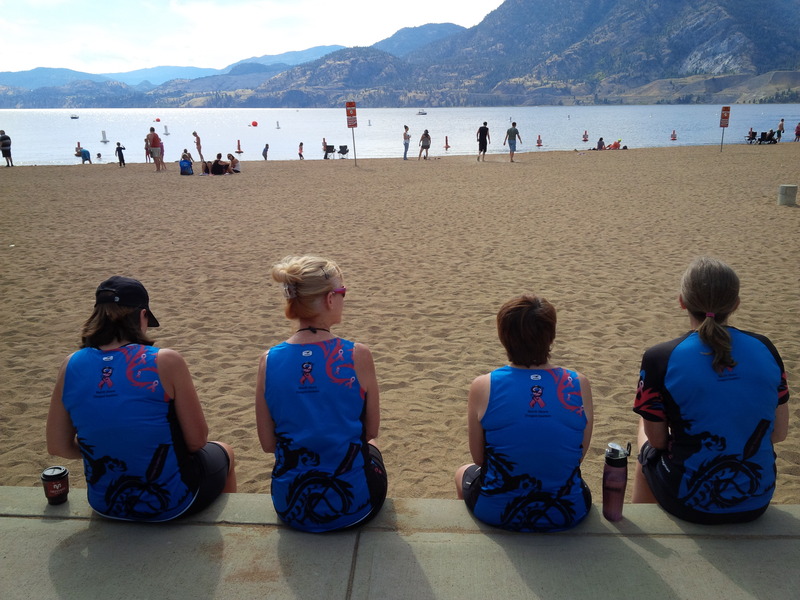 What better place for our last regatta of the year than beautiful Skaha Lake in Penticton, BC. 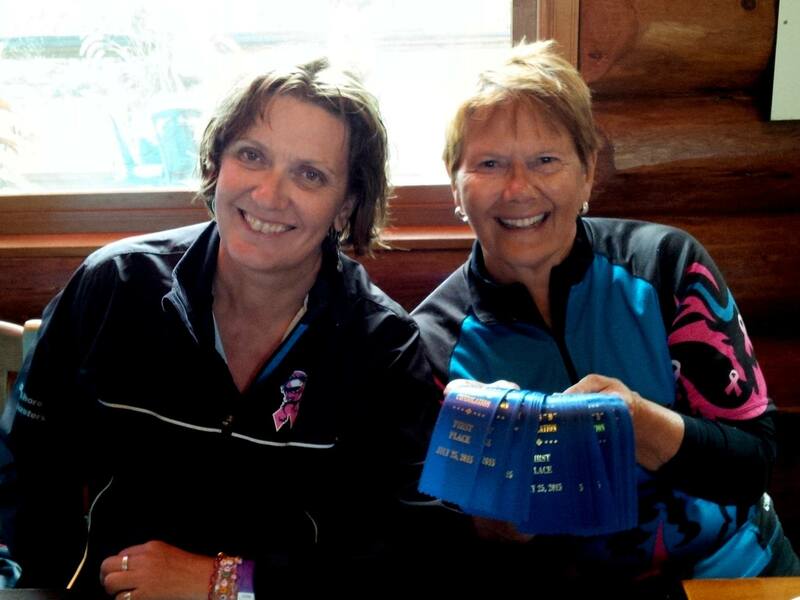 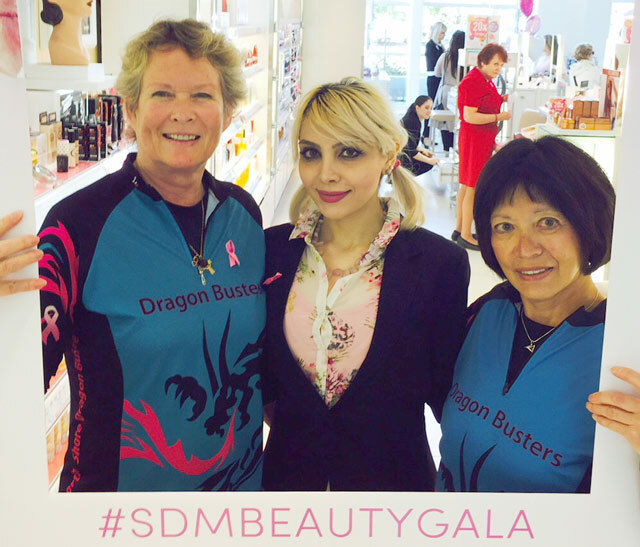 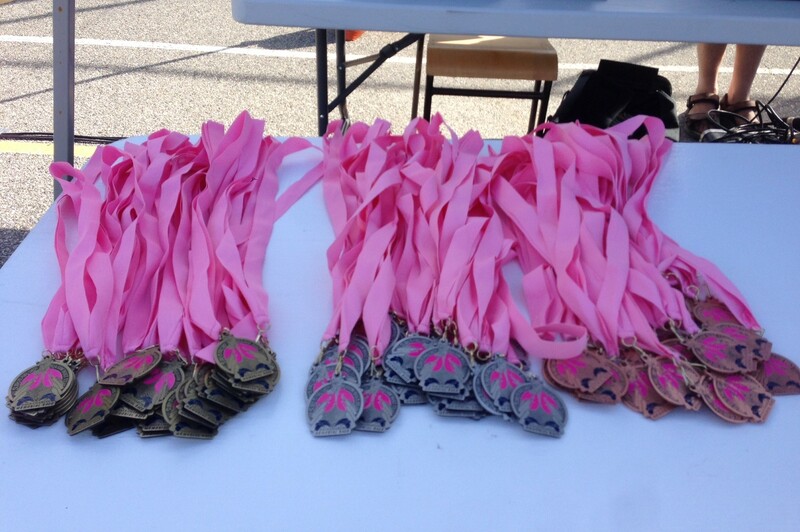 We recorded our best time EVER in the Breast Cancer Challenge race…2:25:56 which earned us the silver medal. 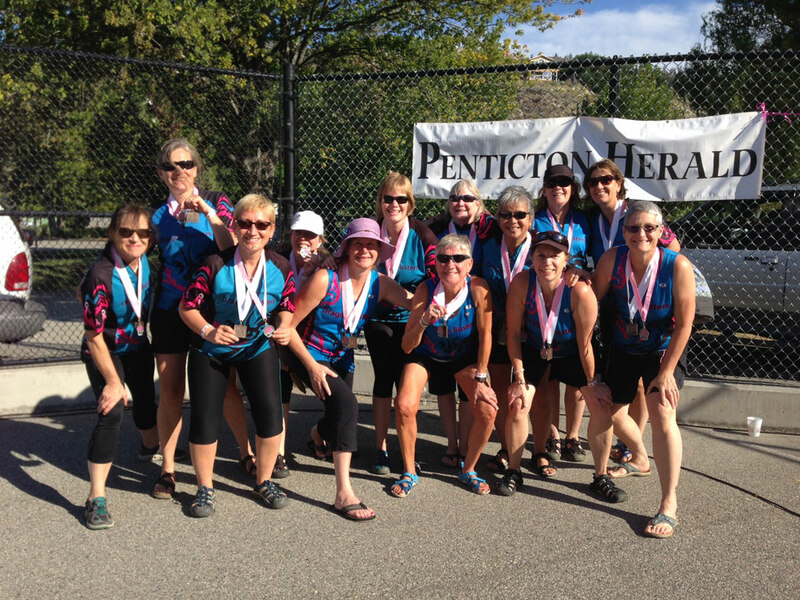 Brought home a bronze medal overall in our division. 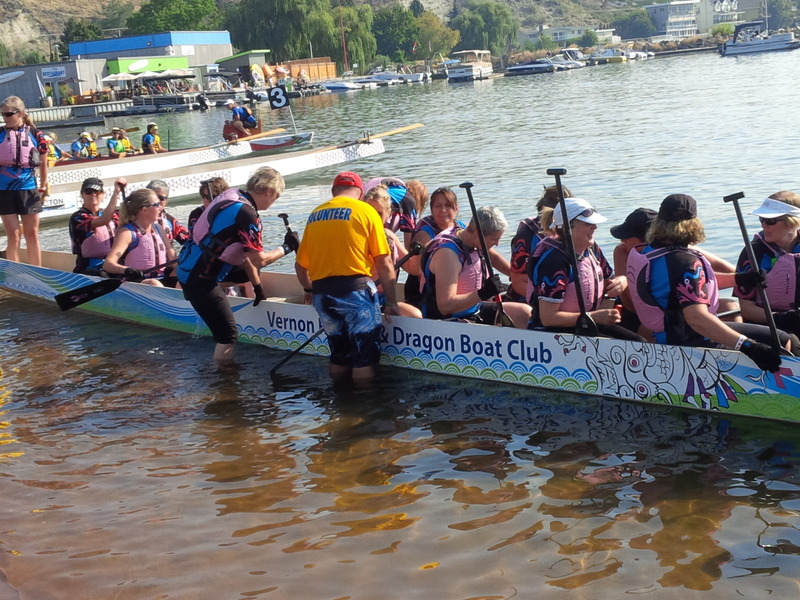 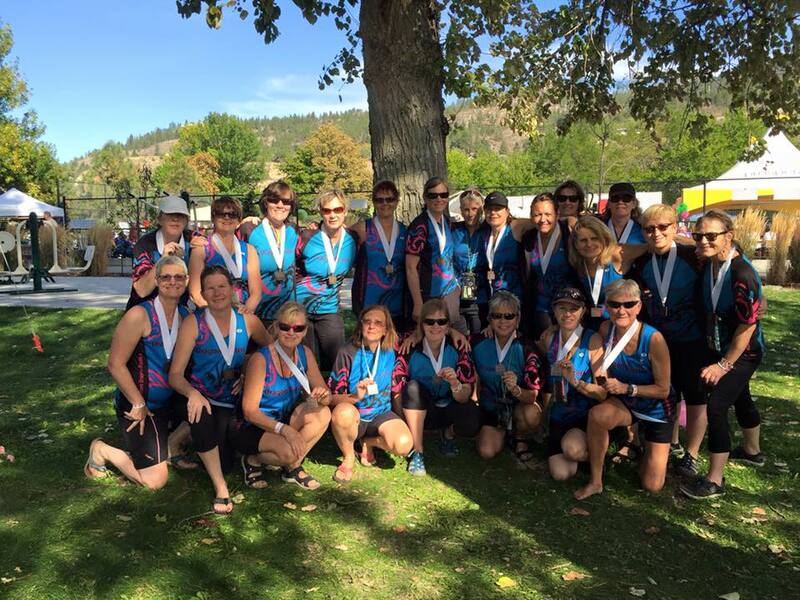 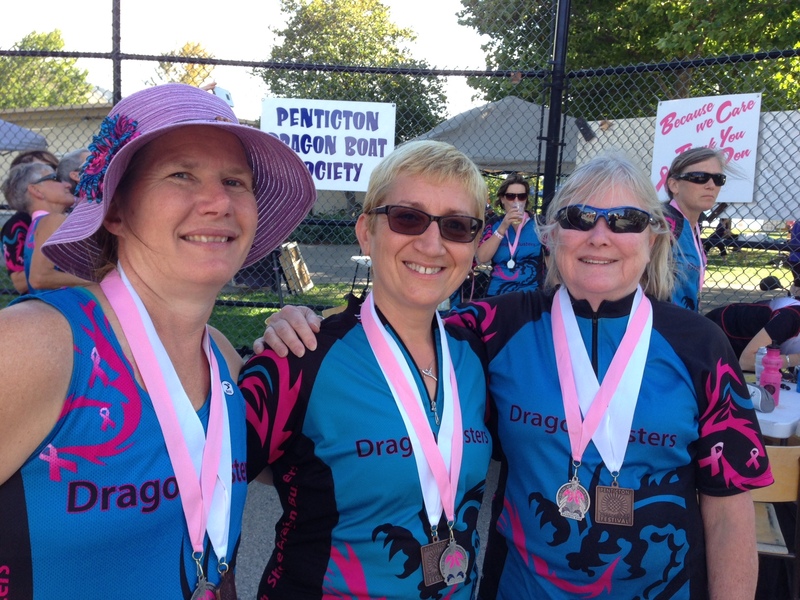 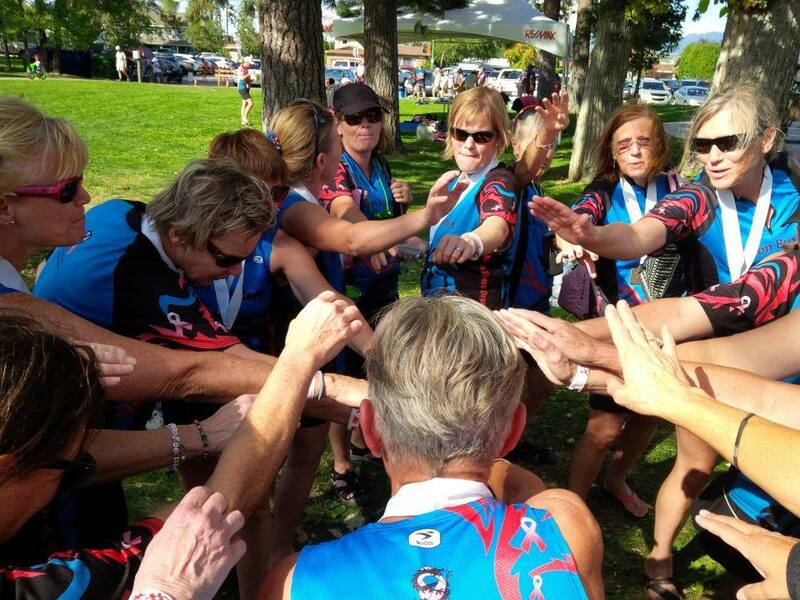 Pink Carnation Ceremony...a beautiful tribute and one of the best parts of the Penticton Dragon Boat Festival. 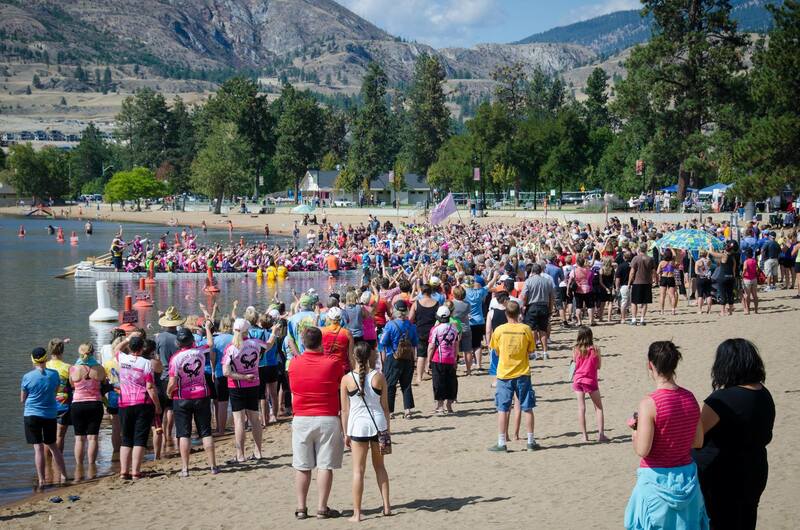 Spectators and supporters are able to get up close and become part of the ceremony. 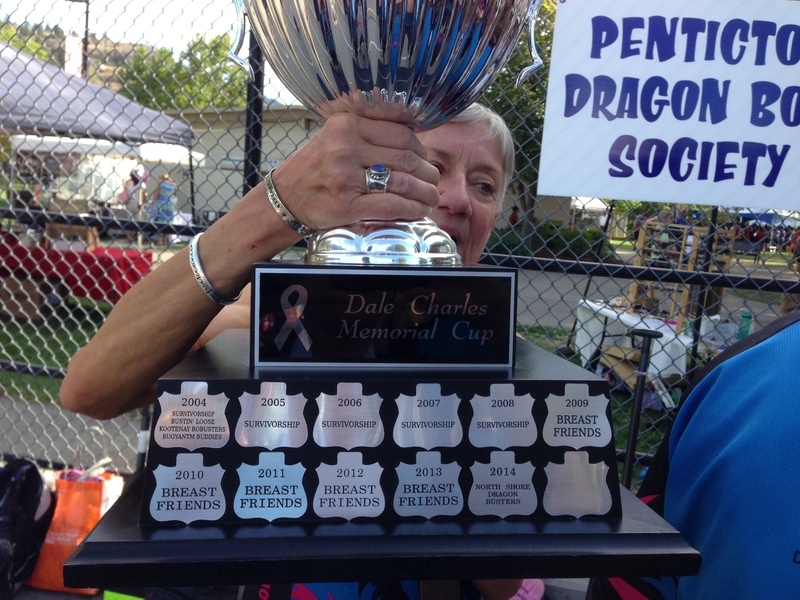 We earned the Silver this year but we won the Dale Charles Memorial Cup in 2014! 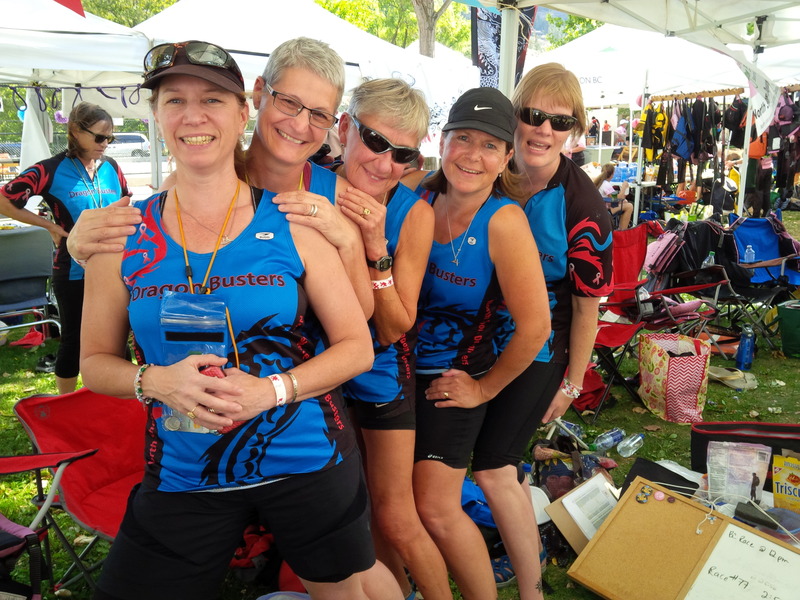 One last cheer for the season...NORTH SHORE DRAGON BUSTERS!!!!!!! 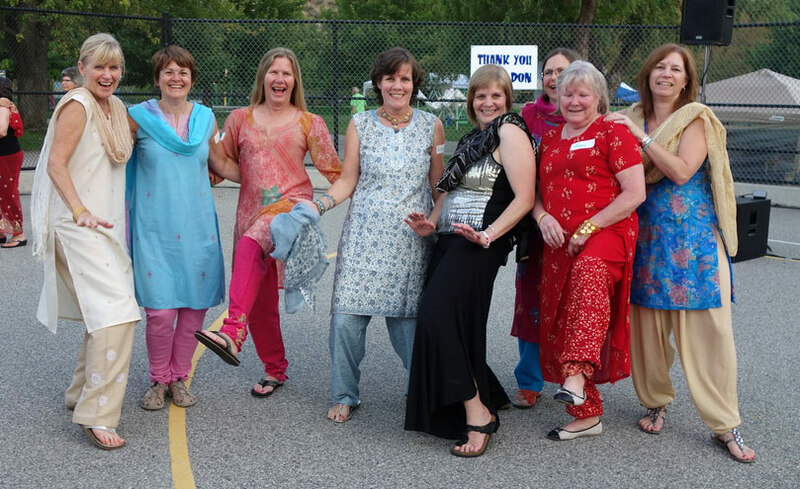 This year the theme was “Bollywood”. 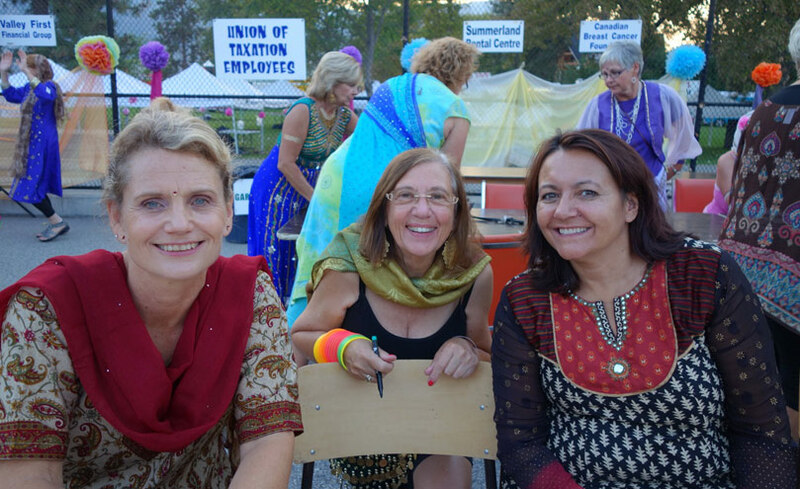 Dress was anything from a Sari to baggy pants and floating scarves. 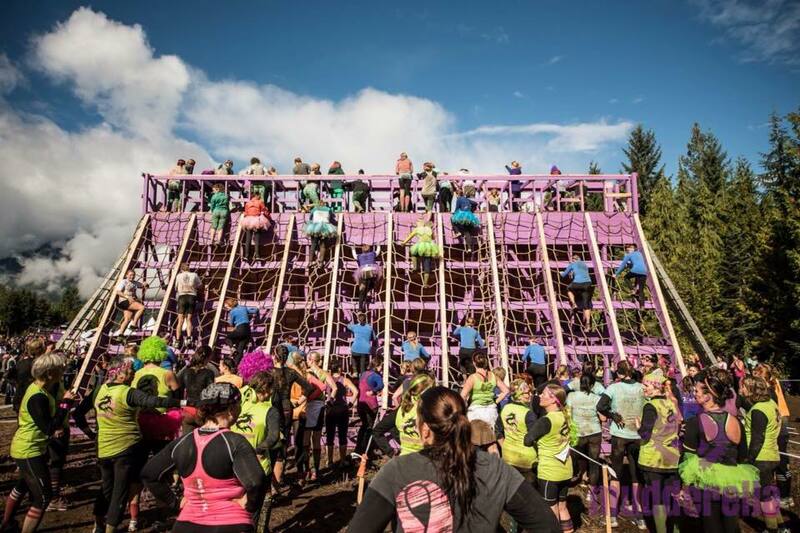 Lots of bracelets, face decorating and anything else you could think of in keeping with the theme. 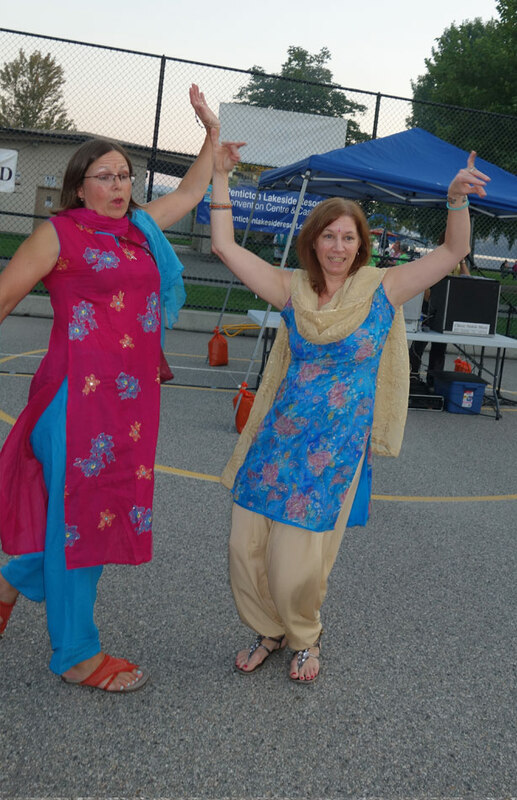 The entertainment this year was a “belly dancing lesson” and then we got to try it out. 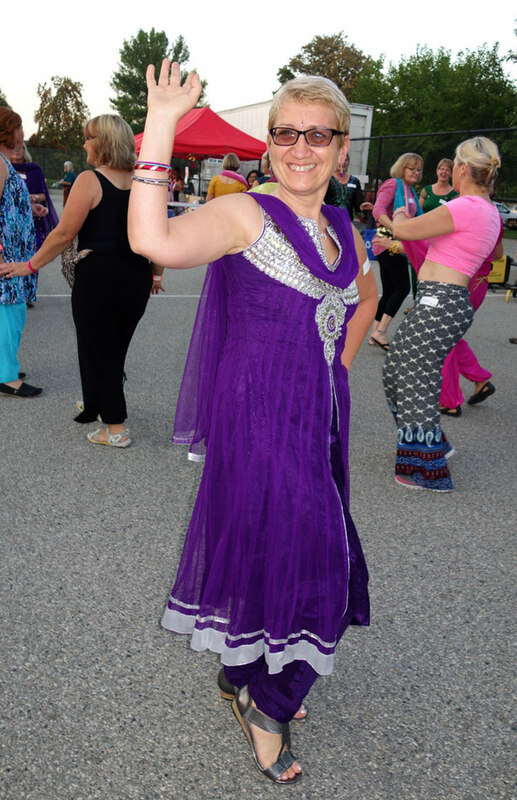 DJ, Alpha, played some great rockin’ dance music after the “Bollywood” fun.